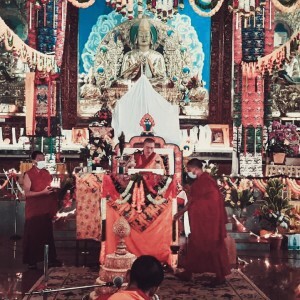 According to His Holiness Kyabje Trijang Rinpoche, the Dharma Protector Dorje Shugden is a fully enlightened Buddha who appears in the form of a worldly god so that beings in this era can access his blessings quicker and more powerfully. Dorje Shugden is also known as the Protector of our time because, apart from guiding Buddhist practitioners on their path to Enlightenment, he also attends to our daily challenges and obstacles. Dorje Shugden does this not because he is a fulfiller of samsaric wishes but because in his omniscience, Dorje Shugden recognises that the human mind becomes distracted from Dharma practice by mundane problems. Hence alleviating our worries and fulfilling our wishes is just a means by which Dorje Shugden helps practitioners achieve the higher objective, i.e. 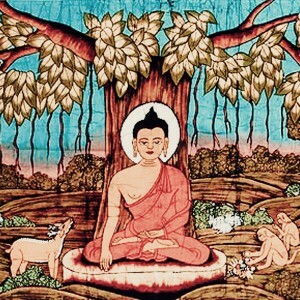 a flourishing Dharma practice. 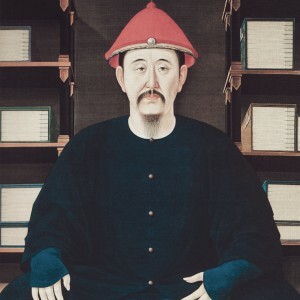 Ratna Shugden (Gyenze), who provides means such as financial resources so that spiritual seekers may practise instead of worrying about paying the bills and making ends meet. 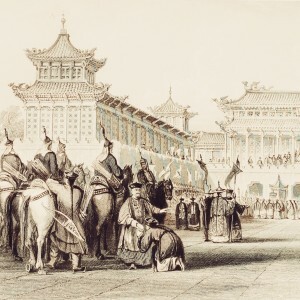 Essentially Gyenze is entreated to increase the resources we need for our livelihood, our opportunities in the workplace, our longevity as well as our attainments and understanding of the Dharma. Pema Shugden (Wangze), who provides a calm and controlled mind in an age where stress, anger and psychopathic diseases create very difficult minds including ours. He is also efficacious in bringing stability and the power of persuasion if invoked upon. 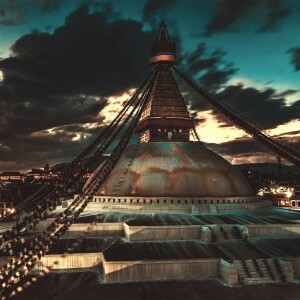 Karma Shugden (Trakze), who addresses the very heavy karma that characterises the kaliyuga age as well as overcomes very negative energies and chronic delusions. Trakze is called upon in extremely dangerous situations such as when we are faced with imminent and grave danger. In addition, Trakze is a powerful counter to voodoo, spells and black magic. Additionally, Dorje Shugden’s entourage consisting of the Eight Guiding Monks, Nine Mothers and Ten Youthful and Wrathful Assistants, all worldly emanations of Dorje Shugden’s power and compassion, are always close by. The Protector’s entourage remains close to sincere practitioners to guide their spiritual path in both Sutric and Tantric training, to protect them from harm and also to provide suitable conditions for their earthly pursuits to be successful. The idea of manifesting in different forms does not mean that one form cannot help and give assistance to a practitioner suffering an affliction outside its scope. For example, it does not mean that Shize can only help with pacifying diseases and not provide material resources. Buddhas are not limited in their capability. 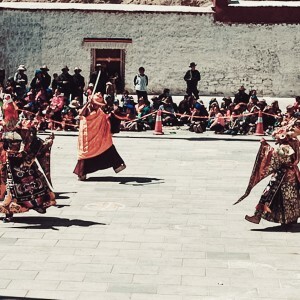 However, the different forms mean that the blessings, protection and assistance administered by a particular form of Dorje Shugden for a particular affliction is much faster and effective. It is the same way we use the right tools for the job that needs to be done. 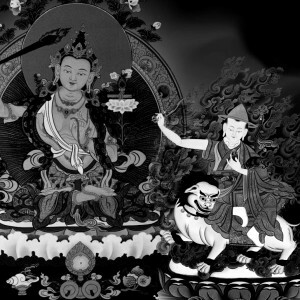 Looking at the problems and infirmities the modern practitioner encounters, it is clear that Dorje Shugden is a Dharma Protector who is a specialist at removing obstacles facing practitioners today. Who Can Dorje Shugden Help? 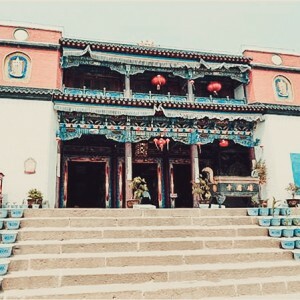 Duldzin Dorje Shugden’s practice, which is essentially wrathful Manjushri, will help in gaining comprehension, understanding, clarity and memory. 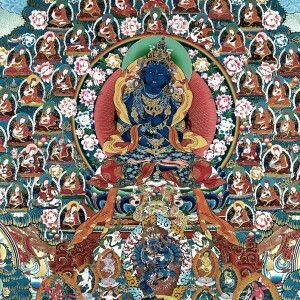 Invoking Gyenze’s blessings will also assist in increasing intelligence and mental acuity. Gyenze’s practice helps draw in the energies and conditions that result in wealth and increase in business resources and profits. 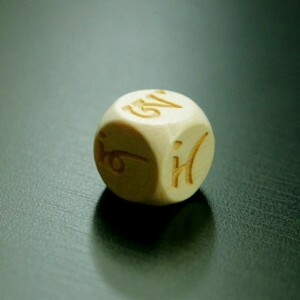 In the event the business/investment is in danger of collapsing, the wrathful and swift powers of Trakze may be invoked to remove the negative elements causing the danger. Shize’s calming powers are effective in subduing the negative energies that cause illness. 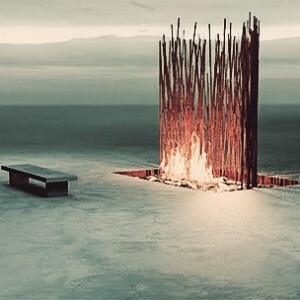 At the same time, invoking Shize generates an abundance of healing energies around the practitioner. 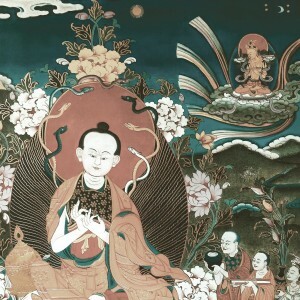 Wangze’s controlling and subjugating power may also be called upon to pacify and quell the negative karma that is creating disturbances in our minds. Again, Shize’s powers of pacification are effective to negate and calm the elements causing the natural disasters. Where the present danger is due to displeased land deities and nagas, Wangze’s control energy can appease the minds of these danger-causing beings. However, the practitioner must have the proper training and be in possession of the right skills and merits to do this. Trakze possesses very swift, strong and urgent powers to protect and assist in such situations. 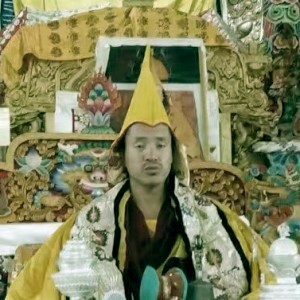 Trakze has been invoked by very powerful high lamas such as His Holiness Kyabje Zong Rinpoche to protect the monasteries when they came under artillery fire. Duldzin Dorje Shugden not only assists Buddhists but all who seek the truth regardless of their path. He evokes the innate wisdom that is present in all beings and brings about clarity and correct understanding of all phenomena. Dorje Shugden helps protect our practice by protecting our resources and conditions so that we have less obstacles to our practice. The various forms then is according to our affinity and our own karma. This is very helpful as it is short, to the point and yet have enough information for us to understand. Thank you for this article, much appreciated. 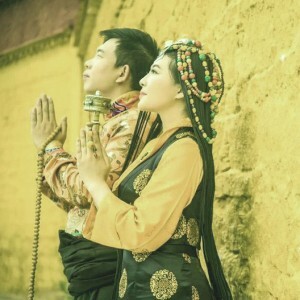 It is very fortunate for us to be bestowed Dorje Shugden practice, which is most suitable to help us in today’s complex and disconcerting environment. There is no doubt that Dorje Shugden can help us clear our immediate worldly obstacles. When we trust and have faith in Dorje Shugden, we will see his assistance manifests swiftly. By alleviating our worldly worries, Dorje Shugden helps us achieve the higher objective, i.e. 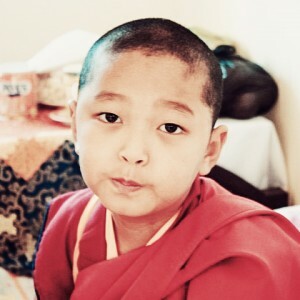 a flourishing Dharma practice. Thank you for this article. When we propitiate Dorje Shugden, the results is so vast and its blessings is so immeasurable. As an enlightened being, Dorje Shugden’s ultimate goal of course is to help us to gain enlightenment. However the more advanced the society has become, the more Dharma is going down and hence the Buddha like DS has to first help us in solving our mundane problems that obstruct us from pursuing spirituality. From a person from pure secular with zero Dharma and now a DS practitioner, I witnessed and experienced how DS practice has changed my life positively, through his kindness in relieving all sentient being’s pain and sufferings. Dorje Shugden is really a protector for everyone, whether you are a student, a business man, old or young. As an emanation of Buddha Manjushri, it clears obstacles for us, bestow wisdom in our mind stream. He also gives us blessings to stablise our mind, thus stablise our relationship with people, our financial situation. When we have clear and stable mind, we will be able to see things as they are and make the correct decision. Propitiating Dorje Shugden everyday, you will see the difference in your mind and the energy surrounding you will become more positive everyday. Dorje Shugden helps anyone who needs help. 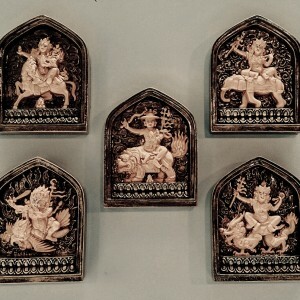 Whether the person has illnesses, facing financial difficulties or affected by black magic, Dorje Shugden or his five forms will be able to dispel the obstacles by providing blessings, protection or assistance. He is the protector of our time because he is the emanation of Manjushri as a worldly god so that we are able to invoke his blessings and protection as he is nearer to us in samsara. Since I started practicing Dorje Shugden, I found that I am more stable in my thoughts and by chanting the mantra it calms my mind and feels safe. Thank you for this article on the advantages of propitiating Dorje Shugden (Part 1). 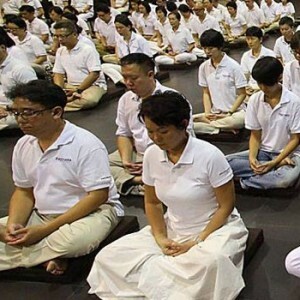 It clearly explains the benefits derived from our practices of Dorje Shugden and also which emanations of Dorje Shugden will respond faster to the conditions we are facing. Dorje Shugden is certainly the Protector of theses degenerate times as being enlightened, he has the omniscience to recognise our needs for long term benefit especially towards our spiritual practices. As Stella said, we are very fortunate to be given Dorje Shugden’s precious practice by our Guru, H.E. Tsem Tulku Rinpoche and in daily propitiating him, we are protected just as a friend would look out for us. May Lord Dorje Shugden’s practice spread in the 10 directions to bring benefit to the people who are in need of him. 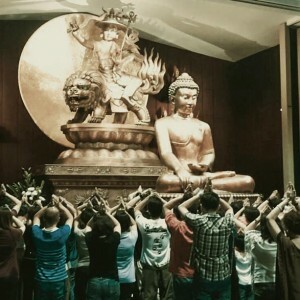 We are very blessed to have Rinpoche in Malaysia for introducing and teaching the practise of Dorje Shugden. This article is clear in explaining who is Dorje Shugden and benefits of propitiating this enlightened dharma protector. 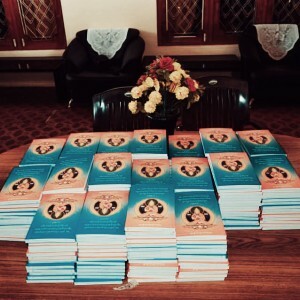 May more people learn and practise Dorje Shugden. Dorje Shugden arose as a Dharma Protector for over 350 years ago in order to protect the precious teachings of Lama Tsongkhapa. Dorje Shugden keeps his promise until today i.e. to protect the people especially those are sincere practitioners and have faith in Dorje Shugden to achieve the attainments. 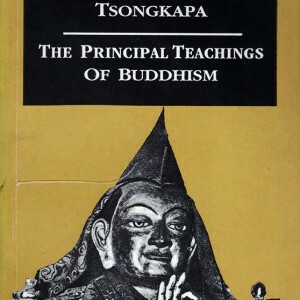 For example many great masters have strong faith in Dorje Shugden have returned successfully in perfect form such as HH Kyabje Pabongka’s current incarnation, Lobsang Thubten Trinley Kunkhyab, HH the 18th Kyabje Trijang Chocktrul Rinpoche and so forth. Dorje Shugden is very compassionate and He knew that as human beings many mundane matters will get us easily distracted from our dharma path. Thus, Dorje Shugden manifest in five forms to helps us to overcome our problems and bring us into dharma. Think further, Dorje Shugden does not ask anything from us, all he wants is we practice dharma and become enlightenment. He protects our spiritual path and guides us to see the path. In this degenerate age, only Dorje Shugden can do so to protect us. Seeing his manifestation forms is so close to us. From Dorje Shugden’s five forms, He protect us from mental to physical, even to our financial. Dorje Shugden is so close to us. Nurse and care for us like we are the only child of him. Thus, it is very fortunate to know Dorje Shugden, to pray for his assistant. By reading this article, I appreciate more on Dorje Shugden and definitely will introduce Dorje Shugden to more peoples. So that, when they have problems they could know whom to look for helps.